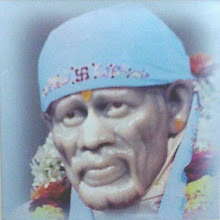 We have seen Sai Baba adoring many temples not only in India but also in various other countries of the globe. 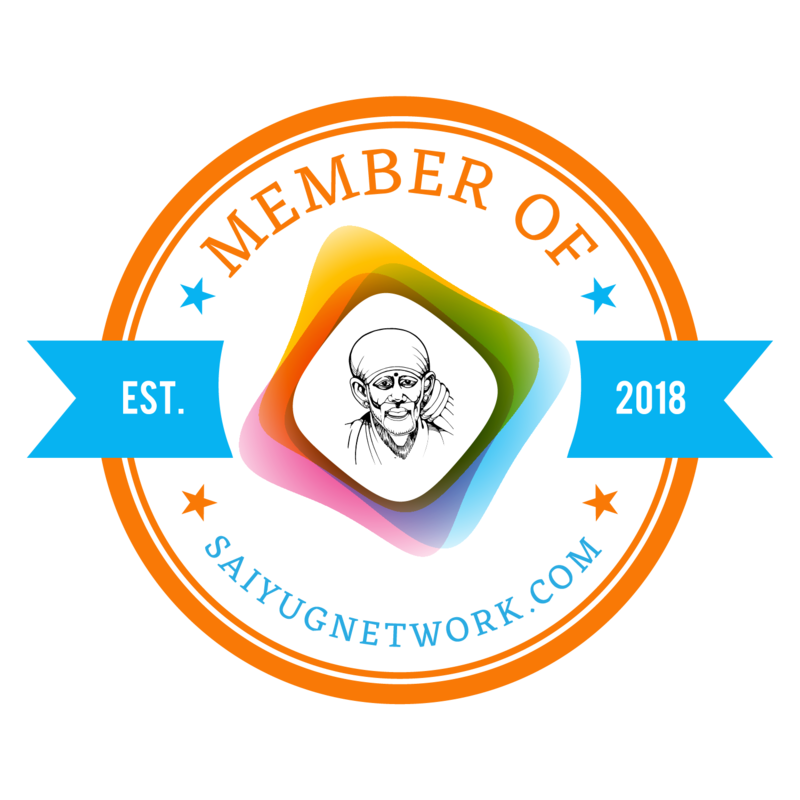 Last year we came to know about Indian postage stamps and envelopes bearing Sai Baba images. Now it is more pride for us to see our beloved Baba adoring US postage stamps too. My friend forwarded me a mail which contained this nice information which i am sharing with you all. 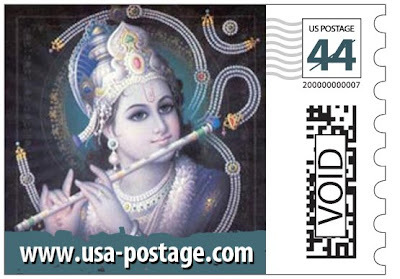 Usa-postage.com an Atlanta based firm, brings you this innovative product totally customized for the Indian community. 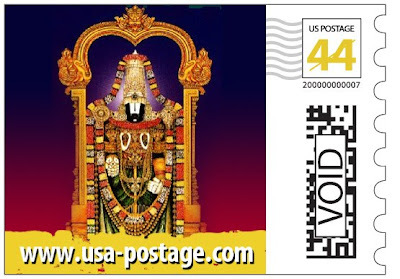 We are proud to serve the Indian community in USA with postage that reflects its culture, heritage and religious beliefs. 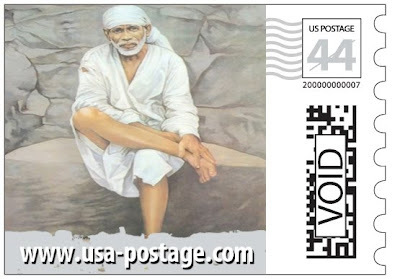 Usa postage.com allows customers to put their favorite digital images on valid U.S. postage. The high-quality, adhesive-backed postage is produced using advanced printing technology within a short time frame. 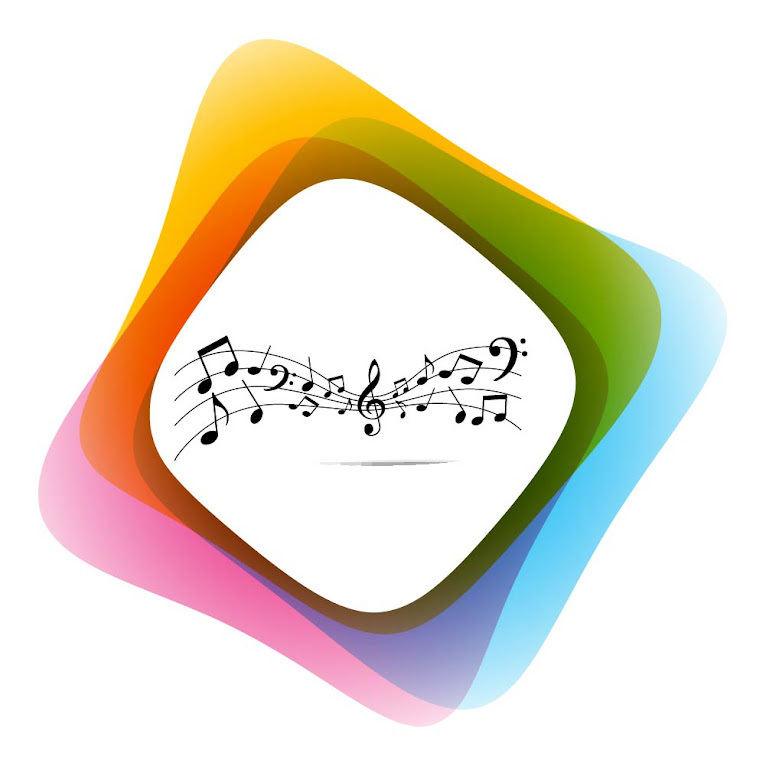 Use it for a wide variety of personal and business usages. 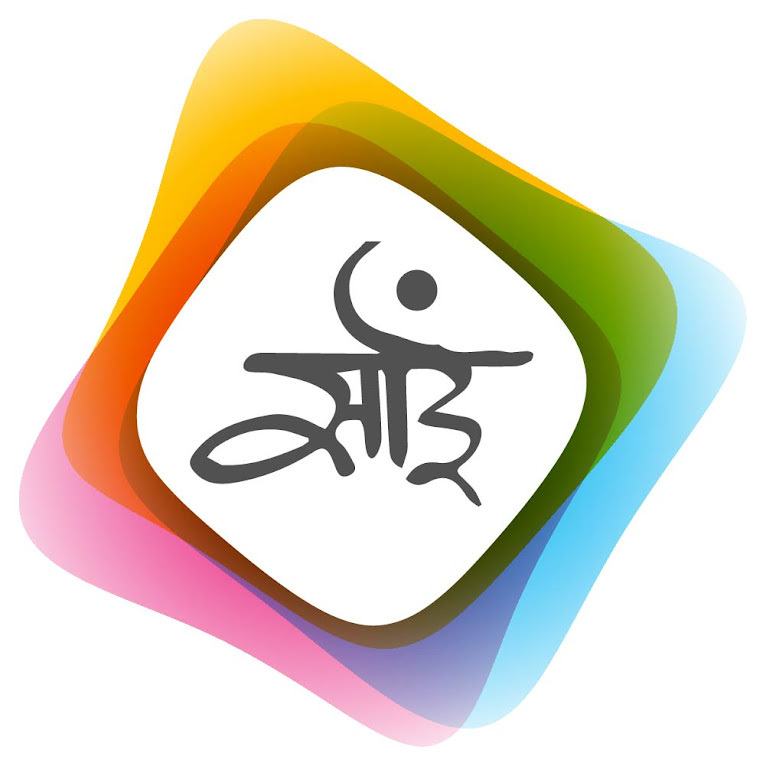 The company targets small businesses, home offices and individuals in the Indian community in USA. We also try to encourage fund rising activity in the Indian community and temples across the USA. 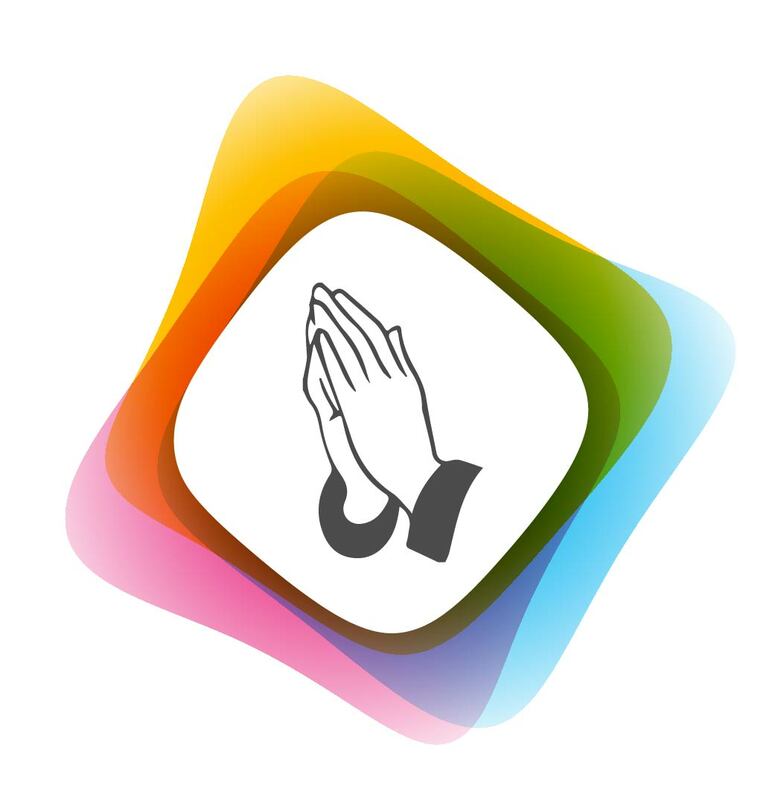 If you are looking for a fund rising program for your temple or a non–profit organization, please contact us and we will be happy to assist you with your program. 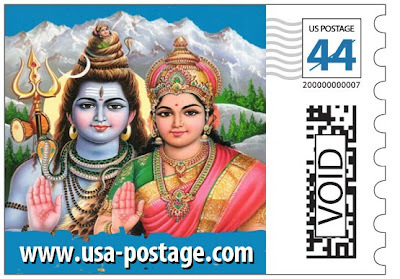 Seven ‘stamps’ issued by a private company in the United States depicting Hindu gods and goddesses as well as the Sai Baba has stoked a controversy with claims and counter claims regarding whether they actually are postage stamps. While the company behind the products has said they can be used as valid US postage stamps, apparently through a system that allows private firms to issue stamps with popular images on them, the stamps do not find any mention in the official US Postal Service (USPS) catalogue. 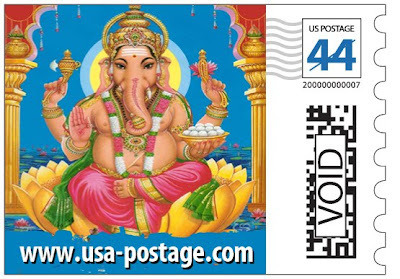 Hindu organisations in the US have welcomed the issuance of the ‘stamps’, carrying images of Sri Krishna, Shiva-Parvathi, Sai Baba, Murugan, Lord Venkateshwara, Vinayaka (Ganesh) and Lakshmi, but online debates are arguing whether they are ‘real’ postage stamps or not. Atlanta-based company USA-Postage. com, which has issued the ‘stamps’, says they are valid postage stamps. “Usa-postage. 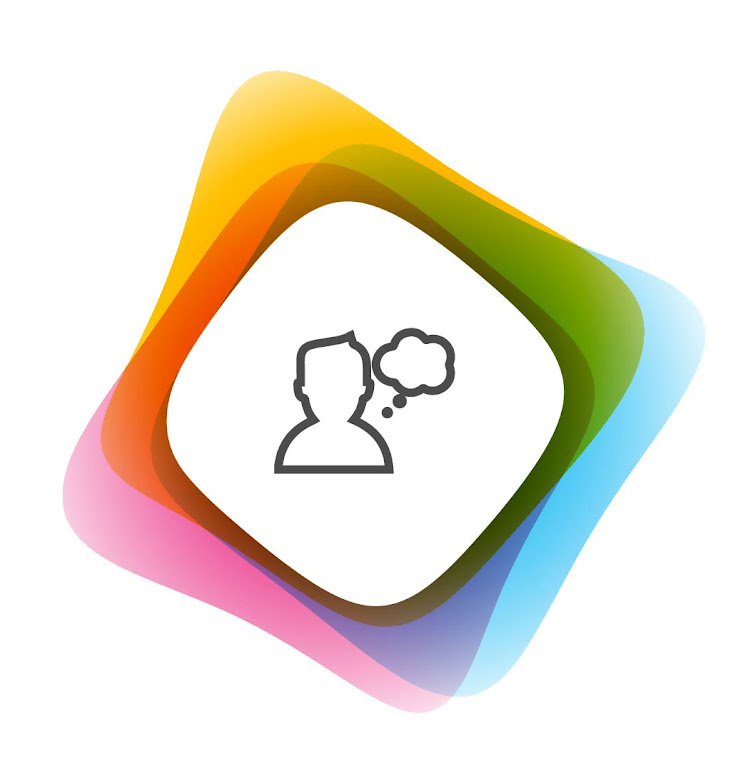 com allows customers to put their favourite digital images on valid US postage. The high-quality, adhesive-backed postage is produced using advanced printing technology within a short timeframe,” the company says. 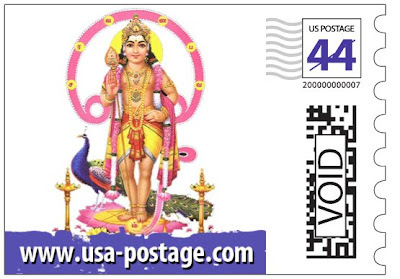 The ‘stamps’ have been customised for the Indian community in America and it is for the first time ‘real’ US postage is depicting the “exclusive designs” of deities, organisations like Hindu Janajagruti Samiti have claimed. The ‘stamps’, priced at 44 cents each, can also be bought on a commemorative sheet priced at $18.99. 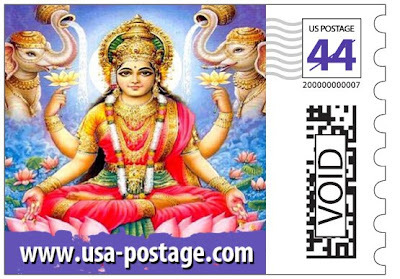 “We are proud to serve the Indian community in USA with postage that reflects its culture, heritage and religious beliefs,” USA-Postage. com, which targets small businesses, home offices and individuals in the Indian community in the country, has said. 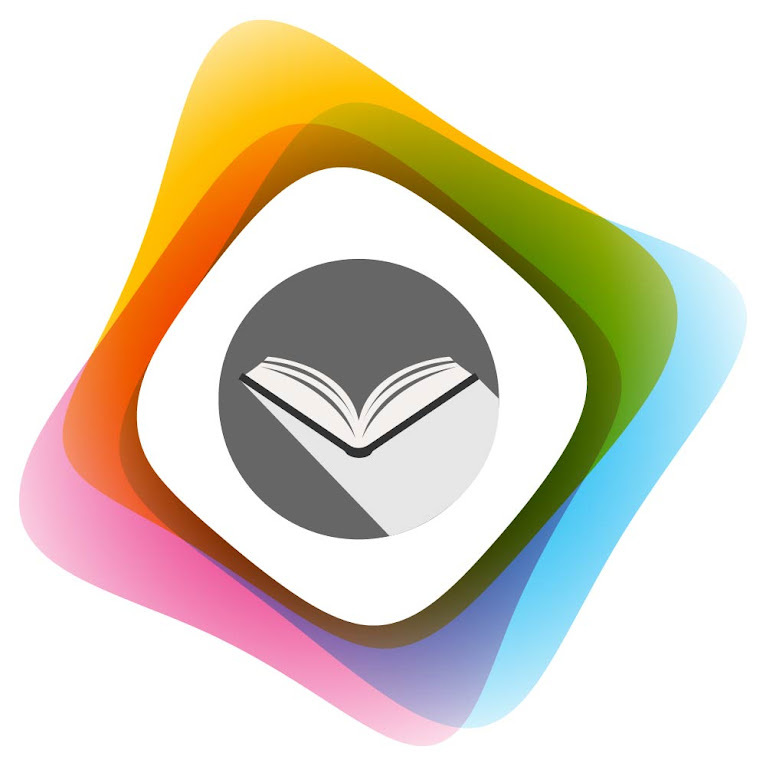 However, online debates, on websites like boardreader. com are questioning the claim of these being real postage stamps. “It is a novelty where anyone can have his or her photo and use it as a postal stamp, like in Franking machines where the logo can be replaced by any image of your choice and still the letter can travel to its destination” even as the USPS collects the revenues under a licensing system, one post argues. The U.S. Government did not release those stamps. The stamps are a creation of a private business which creates customized stamps for customers. They can be used for postage. I ordered stamps thru this website and they have not fulfilled my order. Terrible customer service! !